With patient-generated health data proliferating by the day, and more and more consumers wanting to share it with their providers, better tools are needed to assess data provenance, and more standard approaches to capture it. Provenance refers to the metadata – information about data – that can help describe when it was created, who created it and whether (or how) it was changed at all in transit. The ability to trace and verify the source of information, and gain insight into how it&apos;s been altered throughout its lifecycle, is important to maintaining the utility and integrity of health data. So the Office of the National Coordinator for Health IT has launched a new challenge – which will award up to $180,000 over its two phases – to find new ways to do that. 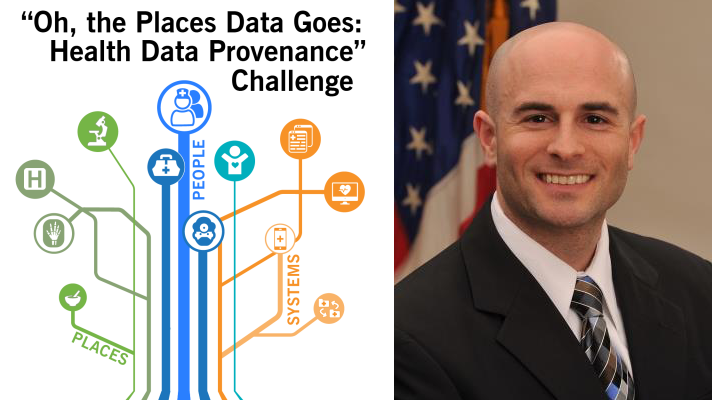 In announcing the "Oh the Places Data Goes" Health Data Provenance Challenge, Steven Posnack, director of ONC&apos;s Office of Standards and Technology, explains that health data "often travels a long distance before it gets to its final destination." Moreover, he said, "data can be represented in a number of different ways. For example, health care providers can use health data at the point of care, researchers can use it for discrete data analysis or as part of a large research data set, and individuals can use it to better manage their care. Data can be converted, mapped, merged, and, let us not forget, ETL’d (extract, transform, load). So, how do we know if the data we have are reliable? Whether the source is known to us and trustworthy?" Finding innovative and standardized solutions to such a complex issue will help the healthcare industry make better use of health data that is "already digitized and ready to share," said Posnack. The Data Provenance challenge will be conducted in two phases. In Phase 1, participants will submit white papers describing their current capabilities and methods used to demonstrate provenance of health data. They must also identify a problem they experience that inhibits the desired or necessary amount of provenance data to be conveyed during clinical care and propose a solution. Winners of Phase 1 will be eligible to participate in the second and final phase, which involves the development and testing of the solution to the problem they&apos;d identified. Phase 1: Up to four winners, each awarded a cash prize of $20,000. Phase 2: 1st place winner will be awarded a cash prize of $60,000. 2nd place winner will be awarded a cash prize of $40,000. Visit the Health Data Provenance Challenge website for information on webinars that will answer more questions about the challenge, and give contest details and instructions.